Paraguay’s task force targeting the EPP guerrilla group has been assigned its seventh commander in less than four years, a sign of the country’s failure to defeat the small rebel group and a worrying sign as the presence of Brazilian organized crime grows in Paraguay. Paraguayan Pres. Horacio Cartes named Col. Héctor Alcides Grau to head the Joint Task Force, better known as the FTC, on May 29, reported the EFE news service. Grau is the seventh officer to take over the combined military-police unit, created in 2013 to defeat the Paraguayan People’s Army, or EPP. His predecessor, Julio Gerardo Brugada, headed the FTC for barely seven months. Officially, the change in leadership was attributed to “the necessity of optimizing the coordination of the operational field environment in search of efficient results.” The timing of the change-up, however, suggests instead that Brugada’s dismissal was a sanction for failure. Just a few days before the announcement, the unit suffered another embarrassment in its years-long campaign to wipe out the guerrilla group, which is estimated to have fewer than 150 fighters. On May 14 and 15, logistical mistakes caused the FTC to fail to intercept a column of EPP fighters in the Concepción department where the group operates, despite intelligence on their location, according to Última Hora. The rebel fighters managed to escape, even though the military reportedly had them in sight for four hours. The incident, which appears to have prompted the leadership change, also led to calls to revamp the unit’s strategy. A senator asked for the creation of a commission to examine the issue, and a former FTC commander advocated changing the unit’s approach to emphasize intelligence gathering during an interview with ABC Color. The constant replacement of the FTC’s leadership is a sign of Paraguay’s inability to fully dismantle the relatively small EPP, which is a worrying state of affairs, given that Paraguay is facing the cross-border expansion of Brazil’s most powerful criminal organization, the First Capital Command, or PCC. 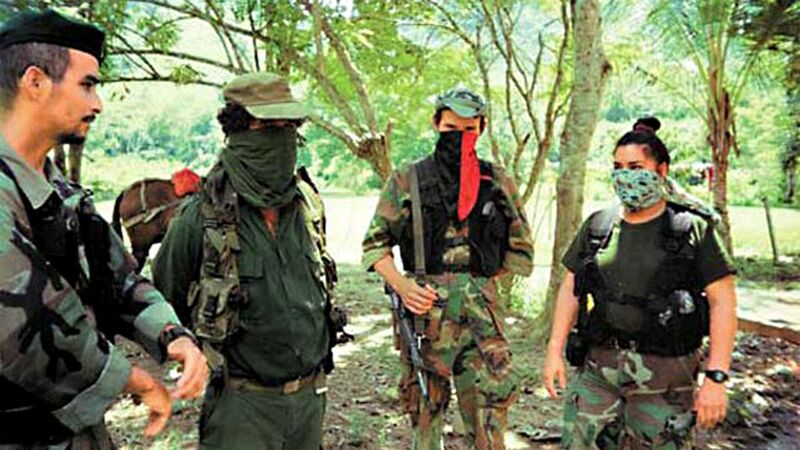 While the EPP is estimated to maintain only small number of fighters, especially in comparison to other regional guerrilla groups, it nevertheless has been able to continue carrying out attacks against state institutions, security forces and civilians. In August 2016, for instance, the EPP succeeded in killing eight soldiers in a single ambush. According to Laurie Blair, a freelance journalist who has reported on the EPP, the FTC’s failure—and the failure of Paraguayan authorities more generally—to dismantle the group is largely due to flawed leadership and a lack of coordination between security forces. Blair told InSight Crime via email that rivalries between various security bodies have caused previous operations to run aground. “The failure of the security services to collaborate effectively in tackling the EPP bodes poorly for their ability to deal with increasingly brazen cross-border cartels” like the PCC, he wrote. Another factor could be the EPP’s increasing involvement in the marijuana trade—Paraguay is South America’s top cannabis producer—from mere taxation of drugs to direct involvement in the production, suggesting a diversification of the group’s criminal portfolio. In 2015, a prosecutor publicly stated that there was evidence of the EPP receiving training from the Revolutionary Armed Forces of Colombia, or FARC, raising concerns that the Colombian guerrillas had encouraged their Paraguayan counterparts to follow their model of financing themselves through the drug trade. Indeed, the Colombia guerrilla group, which originally collected taxes at every step of the cocaine business, eventually developed into the main actor in Colombia’s cocaine industry, helping to fund its decades-long fight against the government. However, in contrast to Colombia’s mountainous jungle areas where some of the FARC’s thousands of guerrilla fighters hid out during the conflict, the dozens of EPP fighters operate in an area whose topography and vegetation make it much easier for Paraguayan authorities to access and control. The fact that the EPP is so small and does not have many geographical advantages casts doubt on the military’s commitment to dismantling the group. As one of the main threats to state institutions and citizen security, the EPP is also the main motive for funding the army. This has fueled speculation that the military may be treating the guerrilla group as “a convenient [and] controllable enemy,” The Guardian explained. Blair told InSight Crime that corruption may also play a role in security forces’ struggle to effectively combat the EPP, citing the possibility that the FTC may be passing “insider information” to the group. Within this context, the expansion into Paraguay of Brazil’s biggest crime group, the PCC, is worrying for the country’s future security trends. The PCC has maintained a presence in Paraguay for a number of years, but recently the gang appears to be expanding its activities there. Last month, the criminal group was blamed for the largest bank robbery in Paraguay’s history—a heavily-armed heist that brought the Ciudad del Este border town to a standstill. Meanwhile, the Pedro Juan Caballero border town in the Amambay department—the marijuana cultivation hub where the PCC operates—has repeatedly suffered outbreaks of violence from suspected drug-related criminal conflicts. The PCC has repeatedly been accused of causing spiking violence in Paraguay’s border areas, and the group is reported to be ramping up activities both within Brazil as well as throughout the region.